Dear Brothers and Sisters, As you are aware CATSA conducts infiltration exercises on a regularly bases. 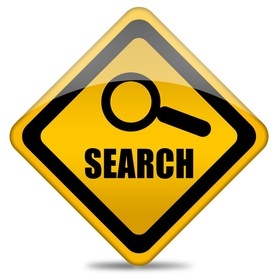 Generally if you fail to identify the concealed item during the test you receive a CATSA Performing Event Report (PER) Recently the employer has started to issue verbal warnings to individuals who have failed such exercises. This is a change in the workplace and not supported by the Union. Accordingly if you feel you have been unjustly disciplined you should ask the attending Shop Steward to file a grievance on your behalf. You should demand to see all of the documentation, evidence, or particulars relied upon by the company in their determination to discipline. On a recent verbal warning the employer stated the following: ” We ask that going forward that you provide us your full attention and due diligence while working as a Screening Officer. If you are unsure, it is better to bag-out. Going forward, you will comply with all policies and procedures as per the expectations and training provided to you” We would ask that you follow the employers’ expectations and completely follow the entire SOP. Your job is to ensure that critical elements of air transportation are secured. Guide yourself accordingly, if you are unsure, it is better to bag-out. Nominations will be called at the May 20, 2014 General Meeting of Local Lodge 16 for the position listed below. Terms of office begin July 01, 2014 for remainder of the current three (3) year term, until December 31, 2016. All Nomination forms MUST be in the hands of the Local Lodge Recording Secretary no later than 3:30 pm on May 20, 2014. NOMINATIONS for the above office may be offered at the Regular Local Lodge 16 meeting on May 20, 2014. Nominations will state the name of the person being nominated, the office the nomination is for, and the name of the nominator. Both the NOMINEE and NOMINATOR must be “Members in Good Standing” of the Local Lodge for the nomination to be accepted. 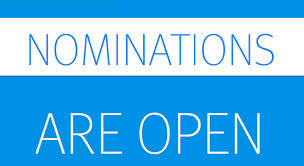 Nominees must be a “member in good standing” for at least one (1) year at the time of nomination for the nomination to be accepted. Please fill out the attached Nomination form and mail by Canada Post, hand deliver or FAX to the Local Lodge Recording Secretary. More forms may be obtained from the Local Lodge offices. Balloting will be done by Absentee Ballot. Please fill out the attached Absentee Ballot Request Form and mail by Canada Post or hand delivered (Faxes not accepted) to the Recording Secretary of Local Lodge 16 no later than MAY 20, 2014. More forms may be obtained from the Local Lodge offices. Please remove your locks at night and do not to use multiple lockers these lockers are being monitored and will be cut off. 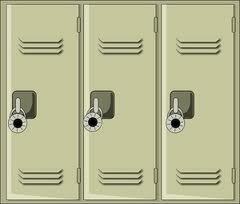 When using lockers it should be for daily use and removed after your shift. Please consider other co-workers when using lunchroom lockers. Members who applied to receive training for CTX and EDX were asked by the Company to sign a waiver and release form. This form released the Company of any liability, without limitation, related to injuries which may occur, regardless of negligence, arising from physical testing. The IAM was not provided with the form in advance nor were we advised of the Company’s intentions with respect to having members sign these forms, further we were not advised of any physical testing requirement related to the posting. Upon our awareness, we immediately communicated our objections to this form, alleging violations of the collective agreement, Canada Labour Code and Worksafe regulations. In response, the Company agreed to stop the signing of the waiver and release form and has confirmed in writing that any forms already signed and in their possession have been shredded. We like to express our deepest condolences and sympathy to the family and friends of Marieta Amador. It was brought to our attention that she passed away few weeks ago in the Philippines. Marieta Amador was a past member whom we all knew very well, she will always be in our hearts and be truly missed. Please keep Marieta and her family in your thoughts and prayers. Further to our communication of December 13, 2013 concerning the winter shift bid arbitration ruling, the parties met on December 16, 18 and 23, 2013 to review the schedule and, make changes necessary to ensure compliance with the Article 17. The Company was directed to provide the Union with all scheduling information electronically or otherwise, so that factual determinations could be made regarding the shift schedule. The majority of the information requested has been provided to the Union. The parties agreed to modify shift lengths of 7.25, 7.5 and 7.75 hours to 8 hours duration, effective from December 22, 2013, in order to comply with the provisions of Article 17.03 for the remainder of the winter schedule. No agreement was reached concerning redress for the period of December 2 – 21, 2013 and this matter will need to be put to Arbitrator Ready for resolution. We have been unable to reach a resolution with respect to the changes necessary to ensure compliance with the preamble of Article 17.01 and 17.01 (a) in particular. Regrettably, we will require the assistance of Arbitrator Ready on January 10, 2014 to ensure compliance with his award and any remedial issues. Please ensure that you continue to monitor your breaks and insist on compliance with the timing of breaks in the collective agreement. In the event your break is delayed beyond the provisions of Clause 17.03 or missed entirely, please notify a Shop Steward immediately, while on shift and document the occurrence with the SDM. The Company has agreed to monitor breaks on a daily basis and remedy missed breaks at 1.5 rates pursuant to the requirements of Article 17.06 (a). Further to our communication of December 6, 2013 concerning the winter shift bid arbitration ruling, the parties will be meeting early next week to review the schedule and, if necessary, make whatever changes are necessary to ensure compliance with the Article 17, in particular 17.01 (a) and any other provisions of the Collective Agreement. The Company was directed to provide the Union with all scheduling information electronically or otherwise, so that factual determinations could be made regarding the shift schedule. We expect to receive all of the information requested by the Union on or before Monday, December 16, 2013. Following our meeting with the Company we will advise the Membership of any developments in the process. We recognize that the present situation regarding break compliance is unsustainable and needs to be remedied immediately. Accordingly, the Union made written recommendations to the Company that would provide immediate relief to the break scheduling issues and would remedy any break compliance violations that have occurred since December 2, 2013. In the coming weeks with increased passengers volumes expected, your health and welfare is paramount. Please ensure that you monitor your breaks and insist on compliance with the timing of breaks in the collective agreement. In the event your break is delayed beyond the provisions of Clause 17.03 or missed entirely, please notify a Shop Steward immediately, while on shift and document the occurrence with the SDM. Further to our communication of November 21, 2013, the arbitration regarding the Winter Shift Bid was held with Arbitrator Vince Ready on November 28, 2013.  Article 17 (m) requires that there be a minimum of two bids per year. The phrase “at least” contained in 17.01 (m) requires two bids but there are no express words or provisions specifically limiting the number of bids provided the Employer has bona fide and legitimate operational needs to do so.  Based on the circumstances and documentation at the hearing, the Arbitrator was satisfied the Employer had legitimate and bona fide requirements to introduce a different shift schedule.  Article 17 establishes an elaborate code governing how the parties establish and implement shift schedules.  The clear intent of Article 17 is for the parties to “work together to make the shift schedules work to the benefit of both parties” and that hours are to be scheduled in such a way as to maximize hours for senior employees in accordance with seniority.  In the Arbitrators view the preamble of Article 17 requires the parties to work together when making up shift schedules. The communications and information from the Employer to the Union fell short of the intent of Article 17 which imposes an obligation to work cooperatively with the Union. No official notice or in depth reasoning was given to the Union in order to support the operational reasons for the shift change. The Employer failed to provide a response to the Union’s suggested solutions and was determined to go ahead with the schedule. The Union was not provided with the schedule until November 5, 2013. The Employer did not give formal notice to the Union or supporting documentation regarding the requirements of its’ client (CATSA) until the night before the hearing. The evidence established that there was little, if any consideration given to the Union’s suggestions to improve the schedule. The documentary evidence revealed that in general the schedule failed to maximize hours as per Article 17.01 (a), effecting the number of breaks and other benefits to which employees are entitled under the Collective Agreement.  The parties are directed to review the schedule and, if necessary, make whatever changes are necessary to ensure compliance with the Article 17, in particular 17.01 (a) and any other provisions of the Collective Agreement.  The Employer is directed to meet the Union and provide all scheduling information electronically or otherwise.  All of which is to be completed within (15) days of the date of this award, or such further time frame as agreed between the parties.  The Arbitrator retained the necessary jurisdiction to resolve any matter arising out of the award including any remedial issues arising out of the shift schedule. We will be meeting with the Company next week to discuss the next steps in implementing the decision and will advise the Membership of any developments in the process, as soon as the information becomes available. On November 5, 2013, the IAM advised the Company that despite our intent to grieve the schedule and process, that the Union would administer the bid in accordance with Article 17.01, which is our right under the Collective Agreement. At no point did we offer or commit to administer the bid jointly. The Company responded to the grievance filed and the matter was referred to Arbitrator Vince Ready for expedited arbitration and was scheduled to be heard on January 10, 2014. On Tuesday, November 19, 2013 the IAM made an application to Arbitrator Ready for an Interim Order seeking relief from the Company’s unilateral implementation of the revised winter schedule and/or an immediate hearing date to hear the grievance on its’ merits. A conference call was held with Arbitrator Ready the evening of November 20, 2013 and the grievance will now be heard on Thursday, November 28, 2013 and a decision will be issued on an expedited basis. In accordance with Article 17, the Screening Officer bid lines will be provided to the Company on November 22, 2013. The Company has advised that they expect to post the shift awards by Sunday, November 24, 2013 with an anticipated schedule implementation date of Sunday, December 1, 2013. 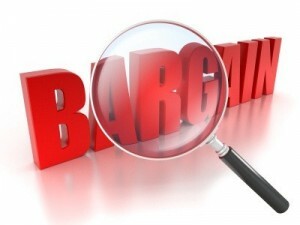 The Union was unable to complete the Lead shift bid as there were insufficient lines provided in the bid for the number of permanent Leads bidding. A revised schedule for the Leads was posted today and they will rebid on Monday, December 2, 2013 with an anticipated schedule implementation date of December 8, 2013. We will advise the Membership of any developments in the Arbitration proceedings as soon as the information becomes available. Please be advised that the June 2013 schedule that was grieved and referred to Arbitrator Foley is rescheduled to be heard on December 5 & 6, 2013. A grievance has been filed with respect to the Company’s imposed winter schedule and we were advised that we will receive the Company’s response on Tuesday, November 12, 2013. On Tuesday, November 5, 2013 in the afternoon, we received the Company’s imposed schedule. We immediately reviewed the schedule and made several attempts to meet with the Company to propose modifications to the imposed Company schedule. Despite our efforts, including making ourselves available over the weekend, the Company was unwilling to meet for the purpose of modifying the imposed schedule. The Union wrote to Company on Thursday, November 7, 2013, highlighting examples of how and where the imposed schedule could be modified, to ensure compliance with Article 17 and to make the shift schedules work to the benefit of both parties. The Company did not respond. Your Union decided to administer the bid of the imposed schedule because it is our right to do so under the terms of the Collective Agreement and we are not prepared to forego any right we have bargained, despite the Company’s violations of the Collective Agreement. To approach the Union for a reconsideration and deferral of the scheduled arbitration of the June schedule grievance on the pretence of attempting resolution, only to subsequently impose a revised winter schedule without consultation or discussion, without providing operational requirements and without agreement on the variants or on how the bid is to be conducted, which repeats the same/similar violations of the collective agreement which occurred in the June schedule, can only be described as bad faith on the Company’s part. Especially given that a meeting took place on October 10, 2013, where the Union identified the issues in dispute with respect to Article 17 and the June schedule and proposed a potential remedy, to which the Company has not responded. Your Union understands how disruptive frequent shift bids are to your work life balance, your family, your finances and other personal commitments. It has come to my attention that there is speculation and rumours circulating in the workplace concerning the Union’s role in this imposed schedule. I can assure you that there is absolutely no factual basis for anyone to suggest that the Union or any elected representative of the Union has been complicit in the Company’s actions. The timing of the Company’s actions are suspect, given the disruption it has caused for our Members, the disruption to our first vacation bid and the potential for interference the upcoming Local Lodge nomination/elections process. Perhaps that was the goal. The IAM & AW has filed a grievance in response to the Company’s actions to pursue resolution through grievance arbitration and is working with Counsel to explore any other means available to the IAM & AW to resolve this matter. We will advise the Membership of any developments in the above proceedings as soon as the information becomes available. On June 23, 2013, the summer shift schedule came into effect. This scheduled was grieved by your Union, as it did not comply with the requirements of Article 17. The parties agreed to refer the matter to Arbitrator Foley and the matter was scheduled to be heard on October 10, 2013. In August 2013, the parties reached an agreement to conduct the fall/winter shift early with an implementation date of September 8, 2013. The Union’s agreement was predicated on the agreed variants and compliance with the requirements of the Collective Agreement. Following a mediation session with Arbitrator Vince Ready on September 20, 2013, the Company approached the Union and asked if we would be willing to further discuss the Article 17 grievance filed regarding the June 23, 2013 schedule, and attempt to resolve the matter between the parties, as opposed to arbitration. Given that the fall/winter 2013/2014 shift bid had already taken place and was compliant with Article 17, the Union agreed to defer the arbitration to a later date and attempt resolution, provided that the parties would meet on October 10, 2013 to discuss the matter. On October 3, 2013, the Company approached the Union and indicated they were considering a further winter shift bid. A meeting was held on October 9, 2013 with the Company, where the Union advised that a shift bid was disruptive and unnecessary and offered solutions to the Company to address their operational concerns, that were in keeping with the collective agreement. The Company committed to exploring these options. A meeting took place between the District and the Labour Relations on October 10, 2013, where the Union identified the issues in dispute with respect to Article 17 and proposed a potential remedy. To date, the Company has not responded. We are concerned that the same violations, which occurred in June 2013 will be repeated in the Company’s revised winter schedule. No further dialogue occurred between the parties until October 29, 2013, when the Company notified the Union verbally of their intentions to post notice of a bid to the employees on Sunday, November 3, 2013. We immediately communicated our objections, as there had been no response from the Company following our October 9, 2013 discussions, and no previous notice of the Company’s intentions. The Union vehemently objects to the Company’s conduct and were completely blindsided by the Company’s actions on Friday, November 1, 2013. They did not have the courtesy to provide your Union with a copy of the communication issued late on a Friday afternoon, which only further aggravated the workplace and caused undue distress and conflict for employees. We object to the Company’s characterization in their November 1, 2013 communication that “the Union was not supportive of this decision and will not participate in the shift bid”. We were never informed of the Company’s decision to proceed with a shift bid or that the solutions we offered were not considered viable by the Company. Article 17.01 states that the parties will work together to make the shift schedules work to the benefit of both parties. Your Union has not been provided with the operational requirements, there has been no discussion or agreement on the variants or on how the bid will be conducted. We have not been provided the schedule and there are no details concerning the implementation or duration. The IAM & AW will file a grievance in response to the Company’s actions to pursue resolution, through grievance arbitration and any other means available to the IAM & AW. distress and conflict for employees. that the solutions we offered were not considered viable by the Company. concerning the implementation or duration. resolution, through grievance arbitration and any other means available to the IAM & AW. Nominations will be called at the November 19, 2013 General Meeting of Local Lodge 16 for the position listed below. Terms of office begin January 01, 2014 for three years until December 31, 2017. All Nomination forms MUST be in the hands of the Local Lodge Recording Secretary no later than 3:30 pm on November 19, 2013. NOMINATIONS for the above office may be offered at the Regular Local Lodge 16 meeting on November 17, 2013. Nominations will state the name of the person being nominated, the office the nomination is for, and the name of the nominator. Please fill out the attached Nomination form and mail by Canada Post, hand deliver or FAX to the Local Lodge Recording Secretary. More forms may be obtained from your Chief Steward (s) or the Local Lodge office. Please fill out the attached Absentee Ballot Request Form and mail by Canada Post, hand deliver or FAX to the Recording Secretary of Local Lodge 16 no later than NOVEMBER 18, 2013. More forms may be obtained from your Chief Steward (s) or the Local Lodge office. Further to our Bulletin of September 10, 2013, the Company and the Union met to discuss and develop the process, procedures and forms required to facilitate our first vacation selection process in Vancouver. The process will be much like a shift bid, where employees will select their vacation periods in classification seniority order in each round. Employees may bid in person, by phone or by proxy. The number of selection rounds will be determined based upon the amount of vacation entitlement that employees intend to bid. All employees will bid, regardless of status, exceptions will only be made under exceptional circumstances. October 2, 2013 – The Company will post the employee listing, in order of seniority, showing each employee’s vacation entitlement for 2014, calculated on service dates achieved up to December 31, 2013. October 2 – 15, 2013 – Between the period of October 2 – 15, 2013, employees are required to advise the Company, on a form, of the amount of vacation entitlement that they intend to bid. In accordance with Article 18.03 (b) all employees must bid a minimum of two (2) weeks of vacation entitlement. Forms are available from the G4S’ 4th floor offices or from the IAM’s 4th floor offices in the Domestic Terminal Building. If an employee does not complete a vacation entitlement form, they will be required to bid the minimum two (2) weeks of entitlement. October 18, 2013 – The vacation ratio will be posted for the information of all employees. October 25, 2013 – The vacation selection bid times and bid location will be posted. Vacation selection bid proxy forms will be available from the G4S’ 4th floor offices or from the IAM’s 4th floor offices in the Domestic Terminal Building. October 31, 2013 – Deadline for employees to turn in any vacation proxy forms. November 4 – 8, 2013 – The first round of the vacation bid will take place. November 13, 2013 – The first round vacation selection results will be posted. The vacation selection bid times and location for the second round of selection will be posted. November 20 – 22, 2013 – The second round of the vacation bid will take place. November 26, 2013 – The second round vacation selection results will be posted. The dates and timelines associated with any required subsequent rounds will be communicated at this time. Please note that employees who fail to select their vacation preferences will be allocated vacation dates by the Company from those that are available, limited to the minimum two (2) weeks outlined in clause 18.03 (b). We understand that this is a new process and a change to how vacation selection has historically been administered and there may be some hiccups along the way. Your continued support and patience is appreciated as we work to find solutions and refine the process. We are please to advise the membership that the parties have entered into a Memorandum of Agreement pursuant to the provisions of Letter of Agreement #3, which provides for vacation ratios and equitable opportunities based on seniority, timing of vacation selection, timing of vacation payments, allocation of prime vacation time and vacation block selection. October 1st each year an employee listing, in order of seniority, will be posted showing employees total vacation entitlement for the next vacation year. By October 15th, employees must advise the total vacation entitlement the employee intends to bid, in addition to the minimum two (2) weeks. The fixed weekly vacation ratio in Vancouver will be based upon the combined entitlement of Article 18.03 (b) for all employees, divided by fifty-two (52) weeks, plus a twenty percent (20%) variant to the nearest whole number. In addition to the preceding fixed ratio, the total weeks of remaining vacation entitlement of all employees, based upon the entitlements prescribed in Article 18.01 will be allocated by agreement between the Company and the Union for each week of the calendar year. 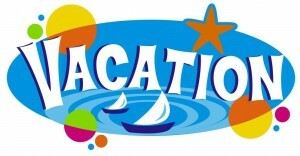 A vacation week is defined in accordance with Article 17.02. Employees will select vacation in classification seniority order in each selection round by a means established by the Union, no later than November 30th of each year. Employees absent during the vacation bid will advise of their selections in writing prior to their absence. Employees who fail to select their vacation preferences by November 30th will be allocated vacation dates by the Company from those that are available, limited to the minimum two (2) weeks outlined in clause 18.03 (b). Bid vacation periods will not be altered after approval without local agreement between the Company and the Union. 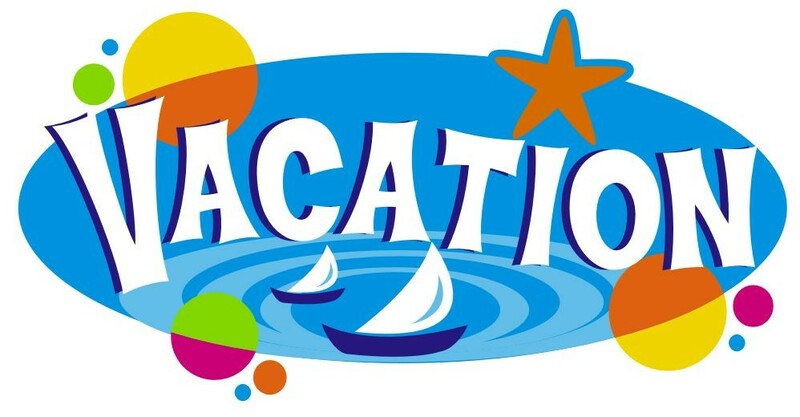 The dates for prime vacation periods will be specified each year by agreement between the Company and the Union, as follows: 2 weeks – Spring Break, 9 weeks – July/August, 2 weeks – End of December. A minimum of thirty (30) days written notice is required to cancel/amend vacation bid in the prime vacation periods and a minimum of fourteen (14) days written notice for all other vacation periods. Vacated prime vacation periods will be posted for seven (7) calendar days and awarded on the basis of classification of seniority. Un-bid vacation entitlement must be taken prior to utilizing Personal Leaves of Absence, except Leaves for medical reasons or Leaves prescribed in Article 14 and 16. The Company and the Union have agreed to apply the terms and provisions of the Memorandum of Agreement to the vacation selection for the 2014 calendar year. Prior to February 28, 2014, the parties will meet to review the application of the MOA and consider any proposed amendments by either party prior to incorporation into the Collective Agreement. If the parties are unable to agree on any proposed amendment the matter will be immediately referred to arbitration pursuant to Letter of Agreement #3 and Article 7 for final resolution. The IAM and G4S attended Arbitration on August 14 & 15, 2013 and have with theassistance of Arbitrator Vince Ready, successfully reached an agreement on theoutstanding issues between the parties related to the Grievance and Applications at the CIRB. The settlement agreement provides for the reinstatement of the Point Leader Classification/Position, effective September 8, 2013 at the rates specified in the Collective Agreement. These individuals and the classification/position shall now be known as Lead Screener or Acting Lead Screener. Lead Screeners shall work as Screening Officers on the screening lines as provided for in the CATSA SOPs and as directed by G4S. Additional administrative and supervisory duties and tasks may be assigned at G4S’s discretion. The permanent Point Leaders that were laid off in October 2012 have been identified in the settlement agreement and are grandfathered for the purpose of the Collective Agreement. Further, these individuals shall receive a onetime payment in the amount of $500.00, less statutory deductions, prior to September 30, 2013 and shall be offered a full time shift line in the shift bid scheduled to take effect in September 2013. Any employee who was laid off as a permanent Point Leader in October 2012 and elected to continue their employment with G4S as an SDM or Trainer shall have a onetime opportunity to return to work as a Point Leader and be grandfathered as well, without loss of seniority or service. Should any of the grandfathered Point Leaders, listed in the settlement, cease employment with G4S, the former Acting Point Leaders (identified in the settlement) shall be offered the vacated position by seniority. Upon acceptance they too shall be grandfathered and have their seniority adjusted and be placed on the Point Leader Classification Seniority List for the purpose of the Collective Agreement. Please be guided accordingly and thank you for your support and patience during this process. The IAM and G4S attended Arbitration on August 14 & 15, 2013 and have with the assistance of Arbitrator Vince Ready, successfully reached an agreement on most of the outstanding issues between the parties related to the Grievance and Applications at the CIRB. The provisions of the settlement agreement are presently being finalized between the parties with the assistance of counsel, which expect to sign on Monday, August 19 2013. 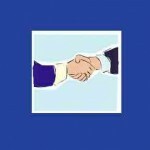 Once the settlement agreement is finalized and signed, the details will immediately be communicated to the membership. We wish to thank the membership for their patience. The Union and G4s have worked in an expedited manner to develop and finalize a shift bid for the winter. The bid would commence Saturday, August 24, 2013 and the new schedule would commence on Sunday, September 8, 2013. The shift bid will take place in the Union Office and the company will be present. The bid days, times, lines etc will be posted on Saturday, August 17, 2013. Please ensure you are aware of your bid day and time. You may bid in person, by phone, or by proxy. Please refer to the bulletin board for updates. Further to our Bulletin of March 25, 2013, the CIRB hearing to decide the Bad Faith Bargaining Complaint and application concerning Certification is scheduled to be heard by the Board, October 7 – 11, 2013, in Vancouver, BC. We have just confirmed that the grievance arbitration will be heard by Arbitrator Vince Ready on August 14 & 15, 2013 in Vancouver. The venue has not yet been confirmed. We will advise the Membership of any developments concerning the arbitration hearing or other instruction from the CIRB in the above proceedings as the information becomes available. We were advised by counsel for G4S Secure Solutions on Thursday, June 20, 2013, that employees are organizing and/or intend to participate in a “mass sick out” this Sunday, June 23, 2013, which will continue sporadically thereafter in protest of the reduction of work hours. The IAMAW is not aware of any organized “mass sick out”. Please be advised that a “mass sick out” would be considered illegal job action under the Canada Labour Code. Therefore, we are advising employees not to participate in this alleged activity and wish to encourage all employees to report to work as scheduled. statements are now available at the company office. your current rate of pay, in accordance with the collective agreement. eight (8) sick days per year. For the purpose of Article 21.03 a day is 8 hours. and members were accruing based upon hours worked. than 4O hours per week will receive the same fixed amount. Any concerns regarding your individual statement should be directed to G4S. The committee meets monthly with the company. We last met with the employer two weeks ago and raised our concerns. As of today, the employer has not contacted the Shift Committee for further consultation regarding the shift bid process. We will advise as more information becomes available. We are presently meeting with the employer to develop a spring/summer shift bid. Our mandate has been to ensure compliance with all aspects of Article 17.01 of the Collective Bargaining Agreement, particularly in maximizing full time employment and compliance with seniority rights. No agreement has been reached with the employer at this time regarding the framework of the schedule. We can confirm that all laid off members, including those laid off in October 2012 have received recall offers. All members with recall rights must be given an opportunity to resume employment, prior to new hire employment. The IAMAW Multi-Employer Pension Plan contributions will commence with the April 7,2013 pay cycle. Anyone who has not yet completed an enrollment form needs to do so immediately and return them to the Local Lodge 16 offices. Enrollment forms are available from the Local Lodge website at iamaw16.ca, or by contacting the Local Lodge 16 offices, toll free at 1-877-303-0461 or 604-303-0461. Pension booklets will be available for distribution starting on Wednesday, April 3, 2013 and will be sent to the Chief Shop Steward at each base within the Region. 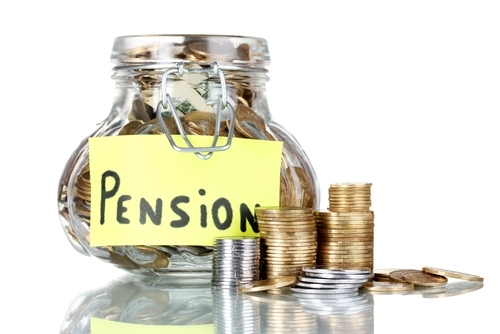 Employer Pension Fund commences on April 7, 2013. All contributions owing to the Group RRSP Plan will be remitted by G4S to RBC, no later than May 31, 2013, following which the Plan will be de-grouped. We cannot de-group the Plan prior to this final remittance or the contributions will be rejected. We are receiving inquiries daily concerning the de-grouping of the Group RRSP Plan. We will not be de-grouping the Plan until the first week of June 2013, at the absolute earliest. A bulletin will be issued advising the Membership once the Plan has been de-grouped. Once de-grouped the accounts will become individual RRSP accounts. Members will then have the ability to provide instruction to RBC on an individual basis concerning the status of their accounts. The funds in your individual RRSP accounts will not be converted into the Pension Fund. ATTENDANCE AT THESE SESSIONS IS EITHER BEFORE OR AFTER SHIFT OR ON YOUR REST DAYS. NOT DURING A SCHEDULED SHIFT. Member booklets outlining the provisions of the Plan will be available for distribution by April 2, 2013. Anyone who has not yet completed an enrollment form needs to do so immediately and return them to the Local Lodge 16 office. Enrollment forms are available from the Local Lodge website at iamaw16.ca, or by contacting the Local Lodge 16 offices, toll free at 1-877-303-0461 or 604-303-0461. As previously communicated, the existing Group RRSP Contribution Plan will continue until the IAM & AW Multi-Employer Pension Fund is in place, on April 1, 2013. Once the IAM & AW is satisfied that all contributions owing to the Group RRSP Contribution Plan have been remitted by G4S, the Plan will be degrouped. This means the accounts will become individual RRSP accounts. Members will then have the ability to provide instruction to RBC on an individual basis concerning the status of their accounts. The funds in your individual RRSP accounts will not be converted into the Pension Fund. Certification will be heard by the Board October 7 – 11, 2013, in Vancouver, B.C. The IAM & AW Multi-Employer Pension Fund comes into effect on April 1, 2013. It is payable by the Company at a contribution rate of 4% (four percent) of the employee’s total earnings, including all earnings for wages, vacation, paid holidays, approved Union leave, VRSC and COLA. There is no obligatory contribution by employees in order to obtain the 4% (four percent) contribution from the Company. Accordingly on April 1, 2013, employees will cease contributing the voluntary matching contribution of 2% (two percent). We are presently finalizing all the necessary approvals required from Revenue Canada and the Office of the Superintendent of Financial Institutions (OSFI) for the Pension Fund. Enrollment forms will be distributed with the payroll statements this coming Friday, March 1, 2013. The enrollment forms will also be available from your Chief Shop Steward, the Local Lodge website at iamaw16.ca, or by contacting the Local Lodge 16 Offices, toll free at 1-877-303-0461 or 604-303-0461. These forms need to be completed and returned to your respective Chief Shop Stewards at each site throughout the Region, no later than Friday, March 15, 2013. Employees who are 71 (seventy-one) years of age or older are ineligible to contribute towards retirement savings, according to Revenue Canada restrictions. Ineligible employees will continue to participate in a Guaranteed Income Annuity (GIA) and do not need to complete an enrollment form. Alternate arrangements will be made with the Company regarding your contribution entitlement, which will be communicated shortly. Member booklets outlining the provisions of the plan will be available for distribution by the end of March and will be sent to each site. Information sessions will be held on April 2 and 3, 2013 in Vancouver, details concerning the times and locations of the session will be communicated shortly. the Canada Labour Code to airport Pre-Board Screeners. objectives of the Canada Labour Code”. through to July of 2013.
each year, calculated up to the end of the preceding calendar year. and paid out automatically on the 2nd pay day in February 2013. 2011, that was not taken in 2012, on a separate deposit on February 22, 2013. A communication from G4S has been issued confirming the deposit date. are of the opinion that a hearing will be required. five (5) day hearing to be held in Vancouver. Letter of Agreement #3 provided for the Company and Union to meet to within sixty (60) days to jointly develop a process which provides for appropriate vacation ratios and equitable opportunities based on seniority, timing of vacation selection, timing of vacation payments, allocation of prime vacation time and vacation block selection. Discussions were held with the Company on November 13, 2012, following which the Union provided a comprehensive proposal to the Company on December 3, 2012. Despite the Union’s efforts to finalize an agreement, the Company has failed to formally respond to the proposal and reach a satisfactory conclusion. Accordingly, a grievance has been filed and notice served to the Company of the Union’s decision to refer the matter to arbitration. Once an Arbitrator and date have been determined, we will provide you with an update. Following the transition of service providers in November 2011, the Union filed a grievance in response to Aeroguard’s failure to remit RRSP contributions to RBC based on the final termination pay. We are pleased to advise the membership that as a result of our continued efforts to resolve the outstanding grievances with Aeroguard, a settlement was reached with respect the above matter. ADP’s initial remittance on December 24, 2012 had to be reversed on December 28, 2012, due to administrative errors in the remittance data. We are now satisfied that the remittance data is accurate and Aeroguard has remitted to RBC, the employers’ contributions on the final termination pay for all members with active accounts. These remittances will be reflected as an employer contribution in your account this week. The total combined remittance to RBC is $13,289.98. Aeroguard has provided the Union with individual cheques, less applicable withholdings for those members owed greater than $5.00, who no longer have open accounts. The cheques will be mailed directly to those members, to the last address on file with the Union. Aeroguard will be preparing T4’s with respect to all payments made to all affected members and mail them to the members at the last address on file with ADP. We are advised that the T4’s will be mailed by ADP on or about February 15, 2013. Please advise if you have any questions or concerns. 2012, we continue to await a Step 3 grievance response from G4S. for consent to perform Bargaining Unit work. circulated in the workplace.Each Member will receive a Collective Bargaining Agreement. Books are available from your Chief Shop Steward. The August 16, 2012 Arbitration decision provides that effective April 1, 2013, the Company shall make payments to the IAM & AW Multi-Employer Pension Fund, at a contribution of rate of 4% (four percent) of the employee’s total earnings, including all earnings for wages, vacation, paid holidays, approved Union leave, VRSC and COLA. There is no obligatory contribution by employees in order to obtain the 4% (four percent) contribution from the Company. The IAM & AW Multi-Employer Pension Fund provides for a defined Benefit for Plan Members. In order to determine each Bargaining Unit’s Benefit Accrual Rate, a review of employee data by our Pension Actuary, is currently underway. We expect to be in a position to provide further details concerning the Benefit Accrual Rates in early 2013. The existing Group RRSP Contribution Plan will continue until the IAM & AW Multi-Employer Pension Fund is in place. Once the IAM & AW Multi-Employer Pension Fund is in place, the Company’s rate of contribution will automatically be set at 4% (four percent) and employees will cease contributing the voluntary matching contribution of 2% (two percent). Additionally, once the IAM & AW is satisfied that all contributions owing to the Group RRSP Contribution Plan have been remitted by G4S, the Plan will be de-grouped. This means the accounts will become individual RRSP accounts. Members will then have the ability to provide instruction to RBC on an individual basis concerning the status of their Accounts. We will advise the Membership of any developments in this transition as soon as the information becomes available. a brand name prescription drug, the lowest cost generic equivalent is usually dispensed and reimbursed in full under the Plan. provides for coverage during periods of absence and lay off. treatment have now been removed. Employees will be able to resubmit claims for coverage. are available for pick up. Regional Sites or for Vancouver employees, made available for pick-up at the Company’s offices on the 4th floor of the DTB. available at each Site, from the Company or from the Chief Shop Steward. be enrolled. They are entitled to the same coverage as employees over the age of seventy (70). be provided to the Union and Employee Benefit Booklets will be provided to all employees. • Benefit Coverage Year: The maximum claim limit for coverage that is per calendar will renew annually each January 1st. to claim again until November 30, 2014.
date of hire with the Company. schedule of current benefits will be distributed to all employees by the Company in the next thirty (30) days. c) Employees shall be required to complete Benefit Enrollment forms during employment orientation. the duration of all paid absences and absences due to occupational injury or jury duty. associated with the Health & Welfare Benefit Plan for a period of three (3) months. Welfare Benefit Plan benefit coverage for a maximum of one (1) year. confirmed and changes have been made to ensure your claims are paid correctly, effective from July 1, 2012.
against the reasonable and customary fees for both prescription drugs and dental claims. finalized Employee Benefit Booklets will be provided to all employees. Manulife any claims incurred on or after July 1, 2012, which you believe were incorrectly paid. to the IAM & AW. proceedings as soon as the information becomes available.